An 18-inch saw blade retrofitted to a brush mower is what helps crews saw down the trees at Silver Bells Tree Farm near Silverton, Ore. It beats leaning over with a chainsaw to cut 60,000 trees. Jessica Garcia runs a baler machine at Silver Bells Tree Farm. It bundles each Christmas tree for transport to stores across the country and globe. In a video on the American Christmas Tree Association Facebook page, a man standing in front of an artificial tree in a brightly lit store says: "Real or artificial -- there is no bad choice when it comes to picking out the perfect Christmas tree for your family this season. Think about things like price point and seasonal allergies when picking out your tree this year." 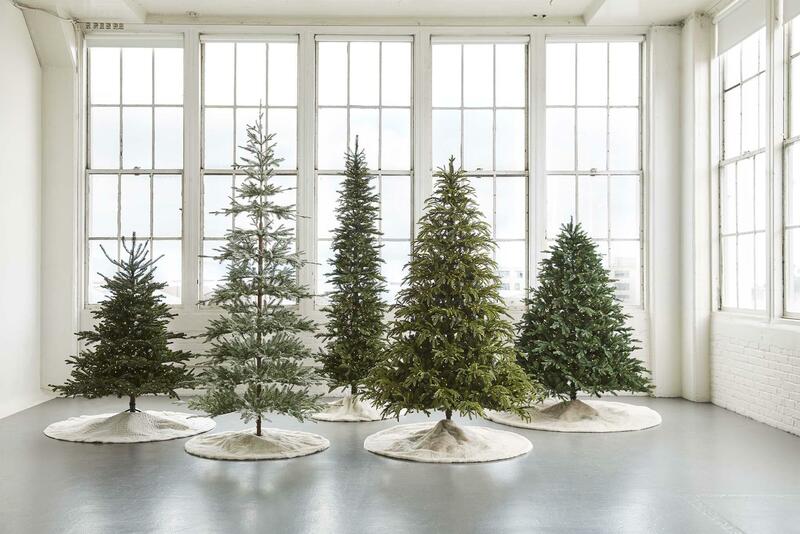 The American Christmas Tree Association, which represents manufacturers and retailers of real and artificial trees, says there are a lot of fun trends with artificial trees these days. And the trees are getting more realistic looking every year. 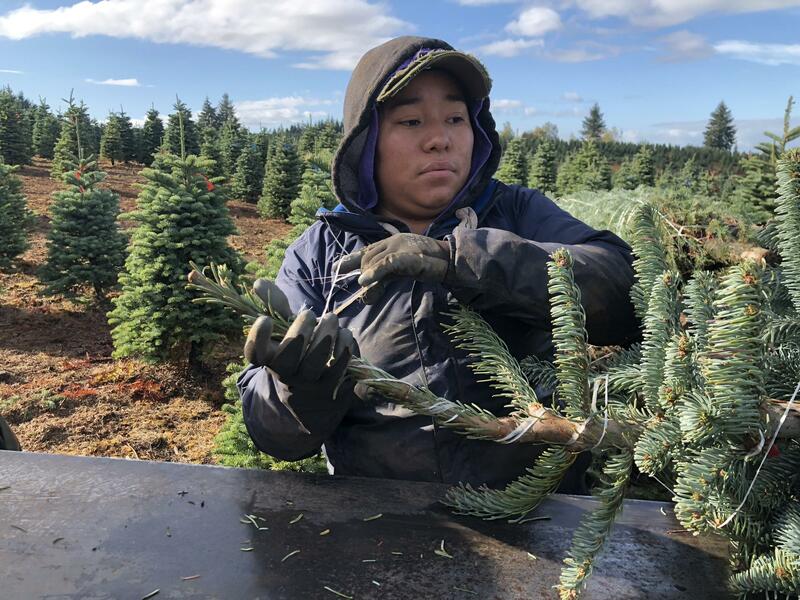 While you're focused on getting that last-minute costume and candy ready, Northwest tree farmers are sharpening their blades to cut and bale your Christmas tree. But be warned: you might not get that noble fir of your dreams this year due to a Christmas tree crunch in the Northwest. 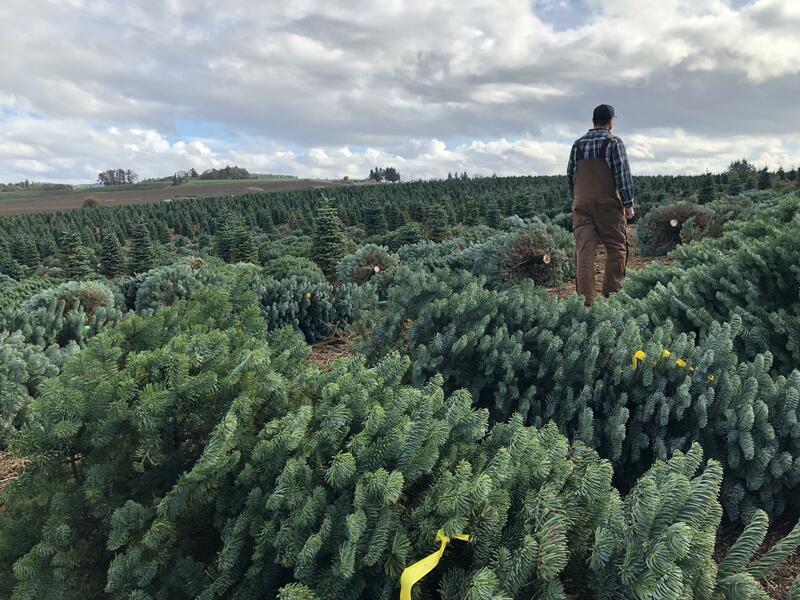 Several Northwest Christmas tree growers are trying to push containers full of evergreens through the Northwest’s delayed seaports.